Community Blog by coffeewithgames // Drones! What are they good for? Fox News' Charles Krauthammer & Black Ops II? 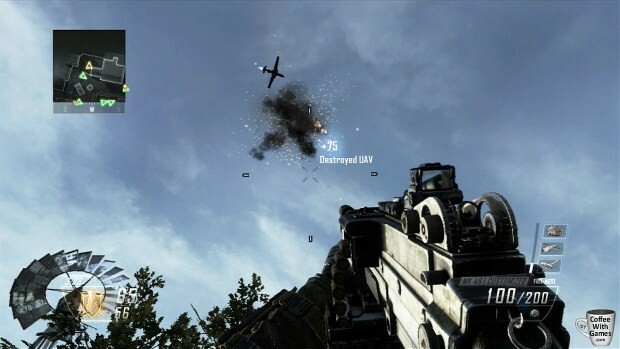 While blasting UAVs out of the skies in Call of Duty: Black Ops II's online multiplayer is one of my favorite things to do, I personally hope that drones do not become a standard operating use here in the U.S., even other countries around the world, by the government or private companies. Before a few of my own reasons why, here's the video (maybe the oddest Black Ops II video yet)! So, in short, I do agree with Mr. Krauthammer's initial statement about drones flying in the U.S., and I hope it doesn't happen. Either way, I'll enjoy shooting down UAVs inBlack Ops II for now, and if you have a Wii U and Black Ops II feel free to add my Nintendo Network ID, Coffees, to your Wii U friend list.